Due to the authors’ negligence during the preparation of this manuscript for submission, it contains a plethora of data errors. Authors sincerely apologize for their mistakes and wish to retract their manuscript. We reached out to corresponding author Cailian Wang, from Zhongda Hospital in China, for more information about how these data errors were introduced. We also contacted the journal’s two editors-in-chief, Andrei Gudkov and Mikhail Blagosklonny, both cancer researchers from Roswell Park Cancer Institute in New York, but have not heard back. 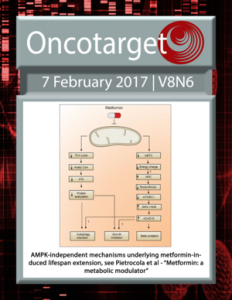 Oncotarget was on the now-defunct list of possible predatory journals compiled by librarian Jeffrey Beall. The 2016 paper, which explored an imaging strategy that could provide early diagnosis of B-cell lymphomas, has not yet been indexed by Clarivate Analytics’ Web of Science, formerly part of Thomson Reuters.